Friday, March 29, 2019 8:30-10:45 a.m.
Theodore B. “Ted” Kohnen, age 88, of Germantown, died Monday, March 25, 2019 at his home. He was born April 6, 1930 in Germantown, a son of the late Theodore and Anna, nee Wobbe, Kohnen. In addition to his parents, he was preceded in death by his wife Dolores, nee Gebke, Kohnen, whom he married September 11, 1951 at St. Dominic Catholic Church in Breese and she died October 2, 2017; siblings, Mary Ann, Raymond, and Lawrence Kohnen all in infancy, Aloys Kohnen and wife Minerva, Vince Kohnen and wife Amanda, Regina Wolbert and husband Harold, Irene Kohnen, and Clarence “Steve” Kohnen and wife Marcella, father-in-law and mother-in-law, Bernard and Elizabeth, nee Becker, Gebke; and brothers-in-law and sisters-in-law, Cornelius and Helen Gebke, Norbert and Clara Gebke, Betty and Alphonse Eversgerd, Larry and Bernice Gebke, Greg Eversgerd, Arnold Michels, Pat and Joe Haake, Junior and Rita Gebke, Stanley Goewert, Tony Benhoff, Paul Jansen, and Thomas Gebke. Surviving are his children, Dale (Vicky) Kohnen of Germantown, Geralyn (Ron) Davis of Centralia, Sharon (Don) Patterson of Centralia, and Dan (Jacinta) Kohnen of Germantown; grandchildren, Eric (Jessica) Kohnen, Bradley (Melissa) Kohnen, Matt Davis, Nathan (Erica) Davis, Ben (Suzanne) Patterson, Nicole (Dusty) Garren, Andrew (Jaymee) Patterson, Ashley (Austin) Schukar, and Mary (Gavin) Anderson; 13 great-grandchildren with two more arriving soon; sisters-in-law and brothers-in-law, Cleo Eversgerd of Trenton, Sis Michels of Germantown, Rosemary Goewert of Shiloh, Aggie Benhoff of Breese, Margie Jansen of Bartelso, and Blanche (Bob) Kohrmann of Bartelso; and numerous nieces and nephews. 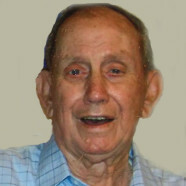 Ted was a member of St. Boniface Catholic Church in Germantown and the Germantown Community Development. He worked as a mechanic at Jansen Chevrolet in Germantown, Deien Chevrolet in Trenton, Woltering Garage in St. Rose, and later retired from Kohnen Concrete in Germantown. Ted enjoyed hunting, fishing, and spending time with his family. Funeral Mass of Christian Burial will be Friday, March 29, 2019 at 11:00 a.m. at St. Boniface Catholic Church in Germantown with Fr. James Buerster presiding. Interment will follow in St. Boniface Cemetery, Germantown. Visitation will be Friday, March 29, 2019 from 8:30 a.m. to 10:45 a.m. at St. Boniface Catholic Church in Germantown. Memorials may be made to Residential Hospice or to the St. Boniface Cemetery and will be received at the church or through Moss Funeral Home who is serving the Kohnen family.